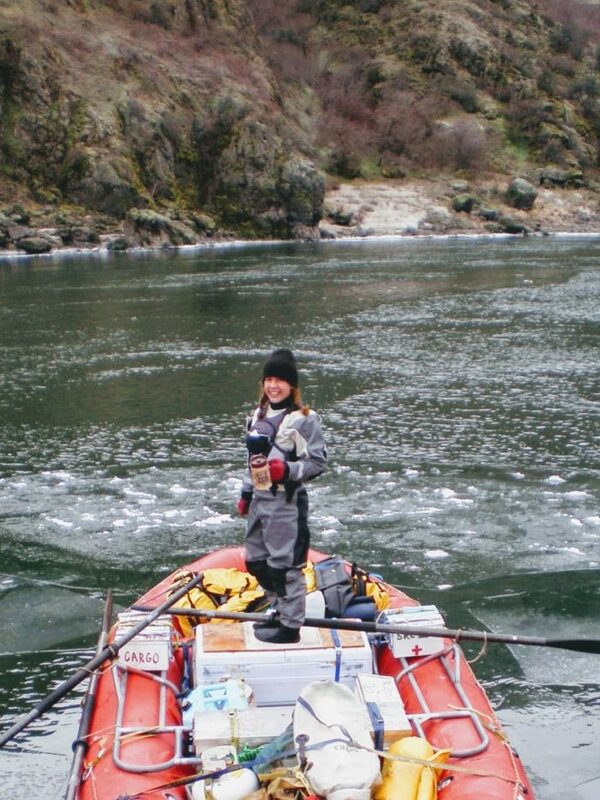 This sounded crazy, but I packed the axe and launched my boat into the Lower Salmon River on New Year’s Eve. The air was crisp. The soft, sandy beaches I remember from July and August were now firm with cold water and frost. And the canyon was green–so green. Glittery trails of ice and lichen flagged each tiny seep in the stone walls. For the past few years, throughout the spring and summer months, I would boat this river as a commercial guide. I thought I knew the canyon so well. This was my first winter voyage and I was amazed at how different a place could look and how much I had never seen. I reminded myself for the one-billionth time: there is always more to see. The river taught me to not make assumptions about what I know; to instead remain open and curious…and of course, to always carry an axe–which on this particular trip, I only needed once.